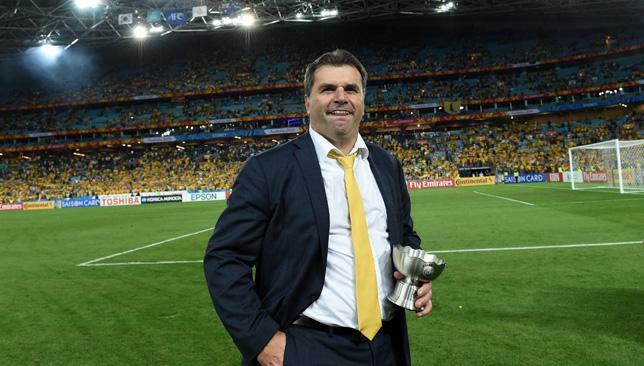 Australia are introducing some youngsters into the national team fold, according to manager Ange Postecoglou. There have been some shock inclusions by the former Brisbane Roar manager over the last few squads. However, the biggest surprise has come from the inclusion of Riley McGree for the squad and that takes on Iraq and UAE in key World Cup 2018 qualifiers towards the end of March. After having had a mediocre start to the campaign with only two wins from the five matches, Australia are in desperate need of three points in order to start dominating the group. Saudi Arabia currently lead the group with 10 points and they are closely followed by Japan, who are only second placed due to inferior goal difference. Australia may have taken only one point compared to these two teams, but the World Cup qualification Asia group happens to be one of the toughest. Australia have had a lot of joy through players like Tim Cahill, but a major criticism of the national team is that the stream of youngsters has dried up in recent years. Postecoglou is confident that the league will be able to spring interest amongst the young players if they start featuring for the national teams. Melbourne City’s Ruon Tongyikis also one of the names being considered for a potential inclusion into the game against Iraq and UAE. "There's two or three youngsters.Tongyik from Melbourne City is another one who I think is really impressive.His paperwork hasn't been cleared yet in terms of being eligible but he would have been close to the squad as well.For guys like that, I want to make sure we don't wait too long to give them that opportunity," said Postecoglou.Tongyik has been able to feature in 900 minutes of action until now, whileMcGree has managed to rack up 700 minutes of league action.